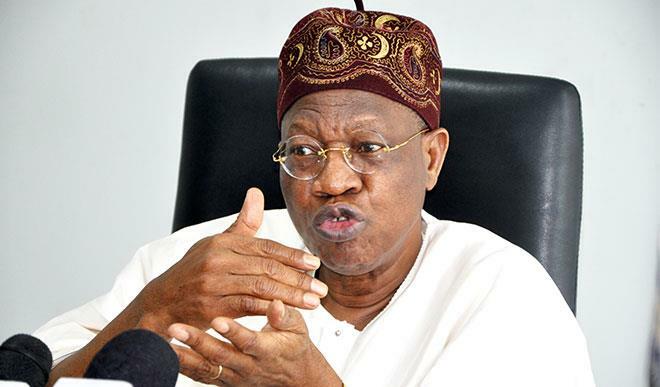 Buhari’s government is ‘responsive, responsible,’ says Lai Mohammed – Royal Times of Nigeria. The timely completion of the Abuja International Airport runway has confirmed that “Nigerians elected a responsive, responsible and capable federal government”, under President Muhammadu Buhari. The minister of Information and Culture, Alhaji Lai Mohammed said this on Wednesday in Addis Ababa, Ethiopia in a statement signed by his Special Adviser, Mr Segun Adeyemi. The completion of the reconstruction of the Nnamdi Azikiwe International Airport, Abuja, runway paved the way for the re-opening of the airport, after a six-week closure. And it was done ahead of schedule. The Minister of State for Aviation, Sen. Hadi Sirika had vowed to resign his appointment as minister in the event that the deadline for the reconstruction was not met by the contractors handling the project. The reopening of the airport for air operations came a day before the expiration of the official deadline and the first airline to land at the Nnamdi Azikiwe International Airport was the Ethiopian Airlines which relocated to Kaduna Airport after Nnamdi Azikiwe International Airport was shut down. The minister said that the delivery of the project even before the scheduled date showed government’s ability to live up to its promise and rise up to any occasion, irrespective of how daunting the challenge may be. He described as “a remarkable achievement” the ability of the government to complete the reconstruction of the runway within the stipulated time, despite doomsday predictions. “The clock-work precision with which everything concerning the closure of the airport and the temporary relocation to the Kaduna Airport was handled is the clearest indication yet that Nigeria can tackle any challenge,” he said. Nigerians have what it takes to make the country a proud member of the comity of nations. was able to handle a large number of flights. ”It is to the credit of the security agencies and the Federal Road Safety Corps that passengers travelling along the ever-busy Abuja-Kaduna highway were largely kept safe while the closure of the Abuja airport lasted. “There was no known security scare while accidents on the road were kept at the barest minimum, despite the increased vehicular traffic. back and forth during the Abuja airport closure? “Indeed, the closure of the Abuja airport runway and the logistic nightmare it triggered must rank among the most intimidating challenges faced by this Administration,” he said. The Minister reminded those who might want to trivialise the feat by the present government to realise that what could not be done in the over 30 years the runway was left to deteriorate was achieved in just six weeks, even under an economic recession. He also recalled that the Port Harcourt International Airport was closed for almost two years by the Jonathan administration.